Never mind Queen of Scots, surely Mary Stuart was the original Queen of Soaps? Her dramatic, disastrous life – liberally soaked in blood, ambition, political intrigue and doomed romance, is proof that poor decisions make great stories. 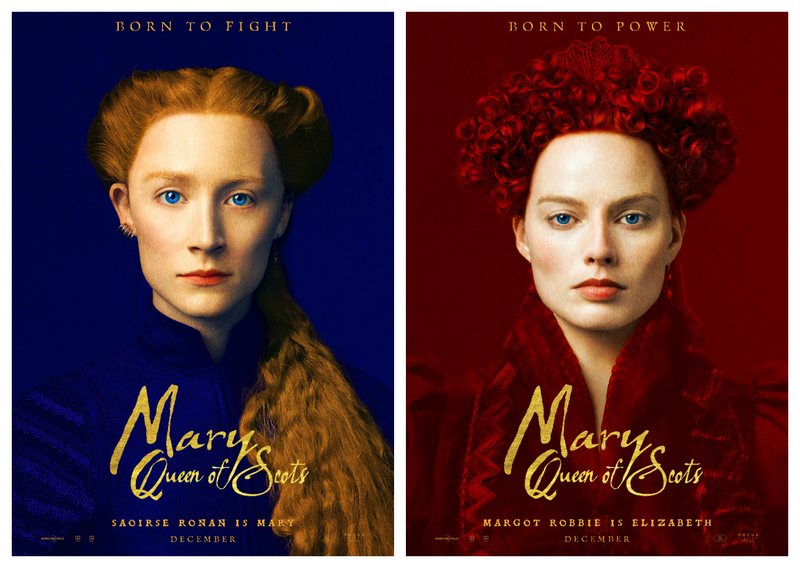 As evidenced by director Josie Rourke’s new film exploring the relationship between Mary and Elizabeth I, hitting screens next Friday. Mary became queen of Scotland when just six days old, was engaged at eight months, married for the first time at 15 and widowed just a year later. She saw her secretary (and, it was rumoured, lover) murdered, and was suspected of involvement in the murder of her second husband. She lost her crown (following an ill-considered third marriage), was imprisoned and finally beheaded for plotting the assassination of her cousin Elizabeth. She was just 44. She may have spent much of her youth in France and the last 19 years of her life imprisoned in England, but Mary’s legend belongs to Scotland. It is both easy and rewarding to trace her life there; many of the places associated with her are romantic ruins, much like Mary herself, some may say. Here’s how to do it. The ill-fated queen’s story begins at beautiful Linlithgow Palace, where she was born in 1542 (historicenvironment.scot). From here, it’s a 30-minute drive to Stirling Castle where Mary was crowned at just nine months old. Although overshadowed by Edinburgh Castle, Stirling Castle has much to recommend it – including a restored and refurbished Royal Palace where costumed guides help recreate life as a royal in the 1540s (stirlingcastle.scot). From Stirling it’s another 30-minute drive to Inchmahome Priory, where Mary was hidden after the Scottish defeat at the Battle of Pinkie in the “Rough Wooing” conflicts, prompted in part by Henry VIII’s desire to force the child Mary to marry his son, Edward VI of England. The Augustinian priory sits on a wooded island (Mary is said to have planted the boxwood bower there) in the Lake of Menteith which is the only lake (as opposed to loch) in Scotland. A small boat will take you from the dock at Port of Menteith Pier to the island, which is almost as perfect a haven of peace now as it was in 1547. It’s easy to maintain the tranquillity with a stay at historic Cardross House, which is just two minutes up the road. Pay special attention to the impressive drawing room ceiling at this grand but welcoming B&B, as it is said to have been created for the visit of Mary’s son, James VI (double rooms from £110; telegraph.co.uk/tt-cardross-house-hotel). Mary spent most of her childhood in the safety of the French court, only returning to Edinburgh to claim her crown following the death of the Dauphin of France. Four years later she married the dissolute Lord Darnley at Holyrood Palace. You can see Mary’s private apartments at the palace, including her bedchamber with original oak ceiling and painted frieze, as well as the Supper Room where she witnessed the fatal stabbing of her secretary David Rizzio – allegedly by her husband and his confederates. There is a good collection of objects to be found here associated with Mary, including embroidery, letters and the Darnley jewel (rct.uk). After Rizzio’s murder, Mary fled to Edinburgh Castle where she gave birth to her son in the Royal Palace (edinburghcastle.scot), although it was at Craigmillar Castle, three miles (4.8km) away, that the murder of the inconvenient Lord Darnley is believed to have been plotted. With Darnley disposed of, Mary was “kidnapped” by the ambitious (and quickly divorced) Earl of Bothwell, marrying him three months after Darnley’s death (in which both Bothwell and Mary were implicated). Unsurprisingly, worried Scottish nobles rebelled, defeating Mary and Bothwell’s forces at the Battle of Carberry Hill, 10 miles (16km) from Edinburgh. Stay at Carberry Tower and you can walk through the wooded grounds to Carberry Hill, where a memorial stone marks the spot Mary surrendered (double rooms from £85; telegraph.co.uk/tt-carberry-tower-hotel/). Forced to abdicate and taken to the Douglas stronghold of Lochleven Castle, Mary eventually escaped to England. If you take a boat across the loch you can see the rooms where Mary was held prisoner (historicenvironment.scot). Carry on to Falkland Palace nearby in Fife and you will find a magnificent royal residence, said to have been one of Mary’s favourite places, as it reminded her of happier times in France. Here she indulged in falconry and hunting, probably playing “real” or “royal” tennis as well; the palace has the oldest real tennis court in the world (nts.org.uk). But if you’re looking for the ultimate Mary, Queen of Scots experience, sleep at Traquair House in the Scottish Borders. Visited by Mary on a hunting trip with Lord Darnley (no doubt sulking and chasing chambermaids), she left behind a rosary and crucifix, a quilt, a shoe with a broken heel and the cradle James VI slept in. Stay the night in this fairy-tale castle and it’s not hard to imagine Mary’s footsteps in every creaking floorboard of the oldest inhabited house in Scotland (double room, £200; telegraph.co.uk/tt-traquair-house-hotel/). A leaflet following Mary’s footsteps across Scotland is available online from Historic Scotland (maryqueenofscots.historic-scotland.gov.uk/media/1006/hs_mqofs_leaflet.pdf). I'd be pretty happy if you'd follow in her footsteps. Of course, I know the non-film version of what happened to her. He has a head start, he's already a queen. Let me guess, in the end she died.